A bad posture will cause you to suffer from its negative effects, in the long run, we might not realize we are doing it and it is hard to correct without proper guidance. I am guilty of slouching and hunching whatever you call you it's just a really bad habit that I need to fix, this bad habit can cause damage over the years, putting stress on muscles, joints, and bones, and molding your body into a shape it shouldn’t be in. Thanks to Jonlivia for the approach, finally there is a product which is the easiest way to start correcting my posture, the Jonlivia Unisex Phiro Back Support pulls your shoulders back, straighten your neck and head and align your spine, it is a fully adjustable belt that works gently and discreetly even under your normal clothing so there is no excuse I cannot straighten up! 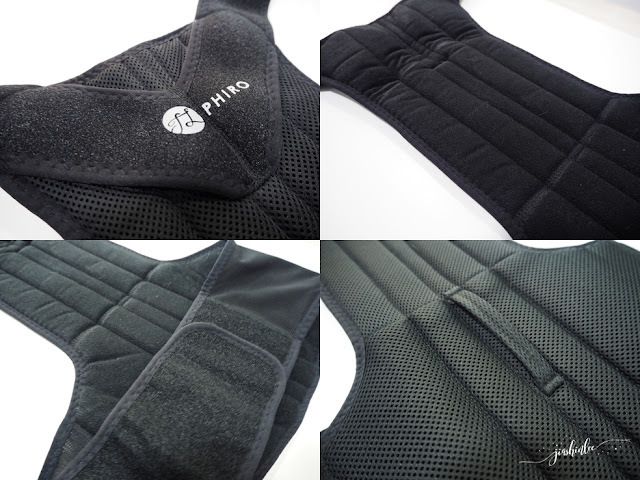 Phiro Line is dedicated to correcting your posture by giving you perfect lumbar support. Use it daily to rectify your spine. I used phiro back support also before this. It's good for people especially who work and sit in front of the computer all the time. interested. boleh grab satu bagi suami..kerja duduk kerusi je dia..
menarik ni. bolehlah beli satu nanti sebab kadang-kadang terasa lenguh di belakang badan kerana kerja.